People don’t just get rich with magic. People typically get rich by investing their money wisely. Saving and investing wisely is a surefire way for you to get rich too! Sure, a very small amount get rich by chance, but it is a terrible plan to think you’ll just get rich by random chance. 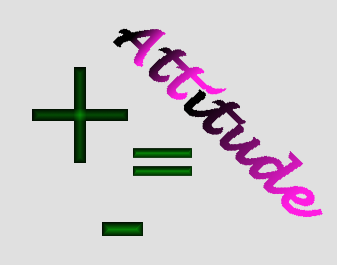 Math can tell you what you need to do to get rich, but your attitude is necessary to act on it. $10/week on Powerball tickets over 20 years would cost you $10,400. What are the chances of winning one of the big jackpots once over the twenty years? Less than 1% chance that you’d ever win a good prize. Sure you might win a small prize every now and then, so we’ll say you’re lucky and end up winning $1000 over twenty years. Congrats – that means you’ve lost 90% of your money! How about you invest that money in the stock market instead? Putting $10/week into an account that earns 7% would be worth over $22,000 after 20 years. Would you rather have $22K or $1K? A gut feeling doesn’t do anything to the math. Millions of other people have that same exact gut feeling too! Having a gut feeling does absolutely nothing to improve your chances. By the way, have you felt that gut feeling about winning before and did it work out for you? Don’t follow your gut feelings on this – it is your money and the lottery isn’t a good investment. Instead of dreaming about becoming rich, how about you make it a reality? It really doesn’t make sense to put your finances in the fate of false hope. How about you take control of your dreams and make that hope a reality? The lottery is just one easy example of a bad investment where the math works sorely against you. There are a lot of other ways that math can work against you, but it boils down to one thing – if you spend money (on things that don’t have a positive return) instead of saving and investing it, you are hurting your ability to become rich. The more you can manage to save and invest, the richer you will likely become. There is just one thing being subtracted from that equation – the money you spend! This is super basic, but a lot of people have a low or even negative value for Total Money. Everybody can understand the math, but it takes a person with the right attitude to act on it. One attitude might be to minimize the money spent as much as humanly possible. I personally suggest an attitude that has goals and priorities in mind – and using a budget to reach these. What both of these have in common (assuming the goal is to become rich) is that frivolous spending doesn’t help you. One last part to the math – still simple, but not quite as easy as addition or subtraction – is investing. Money simply saved won’t do a whole lot to help make you rich. It should be invested as well. Going back to the example with lottery tickets – simply saving the money would result in savings of $10,400 dollars. By saving and investing, this amount could increase to over $22,000. The math says you should probably invest your money, but your attitude needs to be there as well. Don’t be afraid to invest – it isn’t as scary or complicated as you might think. There are a lot of different investment options out there, but don’t freeze up because you can’t decide which to go with. Your attitude needs to be one that is driven to invest and one that will strive to figure out where to invest. I personally recommend Vanguard because they have low fees. If the research is too much for you, you may want to consult a financial advisor to help you figure things out. Math doesn’t change, but your attitude certainly can. Change your attitude to use math in your favor because it is the surest way to financial freedom!